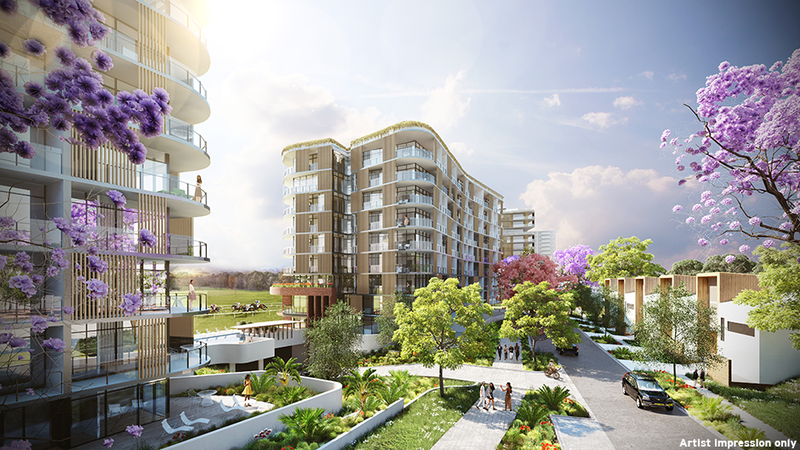 Mirvac has today been formally announced as Brisbane Racing Club’s official partner for the visionary redevelopment of north Brisbane’s Eagle Farm Residential Precinct. Mirvac was selected from a shortlist of three contenders to partner with the Club on the significant urban regeneration of this popular community hub. Located in the blue-chip suburb of Ascot, just six kilometres from the Brisbane CBD, the 54,000 square metre precinct will be built alongside the iconic racecourse and forms part of the Eagle Farm Master Plan. Mirvac has entered into a Project Delivery Agreement  with the Brisbane Racing Club to deliver the $850 million residential precinct. The redevelopment will celebrate Eagle Farm’s rich history in thoroughbred racing, while enhancing its position as Brisbane’s newest destination for food, retail and lush public parkland. Mirvac’s Head of Residential, John Carfi, said the business was thrilled to have been selected to help Brisbane Racing Club deliver its unique vision in one of Brisbane’s most renowned suburbs. “This project will not only celebrate the Club’s 150-year racing association, it will also assure Ascot’s future through the sensitive integration of a world-class residential and commercial precinct,” he said. “The ambitious master plan will seamlessly integrate both the past and future into a vibrant new destination that will be loved by locals and visitors alike. Brisbane Racing Club Chairman Neville Bell said he was delighted to officially announce Mirvac as the Club’s partner and was confident the developer would faithfully deliver the master plan vision. “Mirvac has committed to ensuring the precinct retains its role as the epicentre of thoroughbred racing while simultaneously bringing new life into the area, which aligns with our objectives for the future of the suburb and its surrounds,” he said.